Russian President Vladimir Putin said last month his military would deploy its first hypersonic nuclear-capable missiles in 2019, saying the acquisition of such technology has elevated his country into a new era of high-speed weapons that can outmatch the most advanced missile defense systems in the world. "From next year, 2019, Russia's armed forces will get the new intercontinental strategic system Avangard ... It's a big moment in the life of the armed forces and in the life of the country. Russia has obtained a new type of strategic weapon," Putin said. 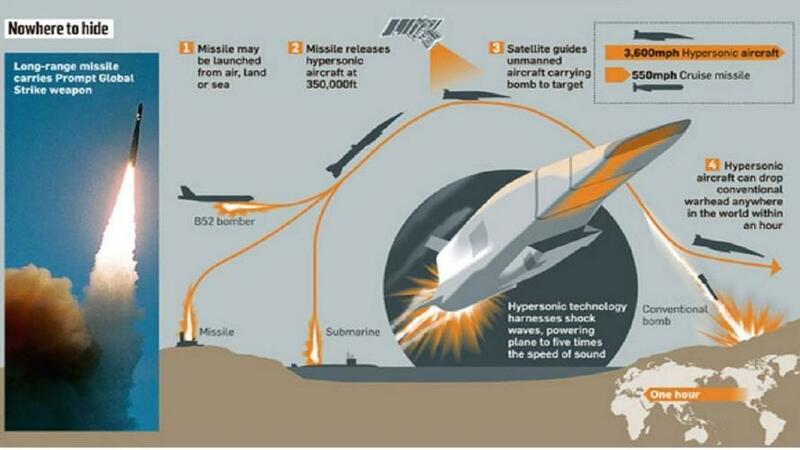 With the immient deployment of hypersonic weapons capable of 20,000 mph will present significant arms control “challenges” as the world moves further into a new and unsettling geopolitical phase, a defense expert has warned. The issue was also mentioned by the International Institute for Strategic Studies' (IISS) Strategic Survey 2018 report, edited by Dr. Nicholas Redman and published in November. It warned that a hypersonic missile traveling at the speed Putin claimed (20,000 mph) would be capable of striking London - about 1,500 miles away from Moscow - in less than five minutes. 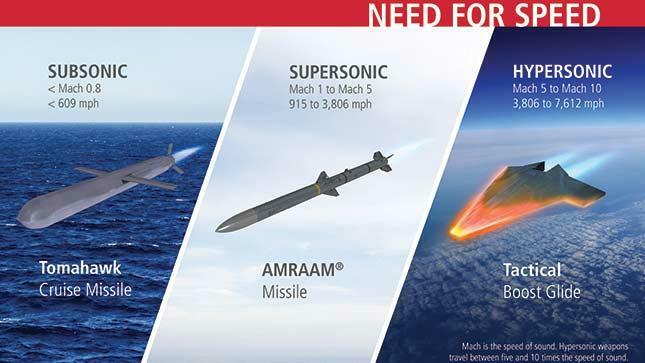 But he said: “Hypersonic glide vehicles and hypersonic cruise missiles are still only in development – although operational deployment of hypersonic glide vehicles may be only a couple of years away." He added: “Russia, China and the USA are all actively pursuing hypersonic glide vehicles and hypersonic propulsion. Most of the work is classified." “Intercepting hypersonic cruise missiles is demanding but not impossible," however, the NATO missile defense system would have much difficulty intercepting a hypersonic glide vehicle from Russia. In the IISS’s Strategic Survey last year, the think tank’s director-general Dr. John Chipman warned that Russia and China were waging a parallel campaign of “tolerance warfare” against the West. Chipman explained: "Tolerance warfare is the effort to push back lines of resistance, probe weaknesses, assert rights unilaterally, break rules, establish new facts on the ground, strip others of initiative and gain systematic advantage over hesitant opponents." “It is becoming a favored strategy for those countries that cannot easily challenge their biggest rivals symmetrically." "Most obviously, President Vladimir Putin’s Russia is seeking asymmetrically to gain advantage in its weakened position by regular use of tolerance-warfare stratagems." 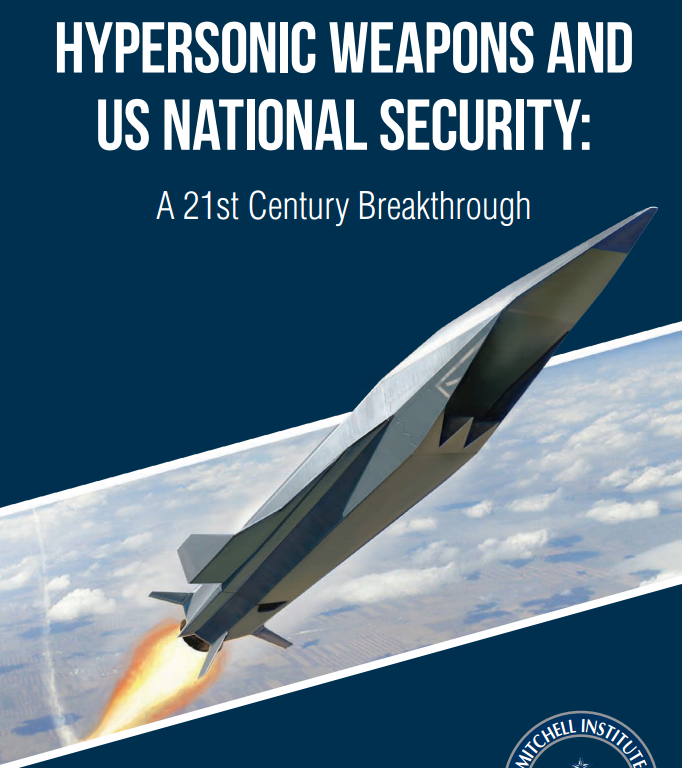 Hypersonic weapons have moved the world into a new and unsettling geopolitical phase. It is not just a unipolar world, but now, more of a multipolar distribution of power, thanks to rising military forces in Russia and China. The so-called New World Order and Washington Consensus thinking is deteriorating. This creates new risks and uncertainties: rising military tensions, economic disruptions, and destabilizing feedback loops between changing international relations and countries’ domestic political conditions. 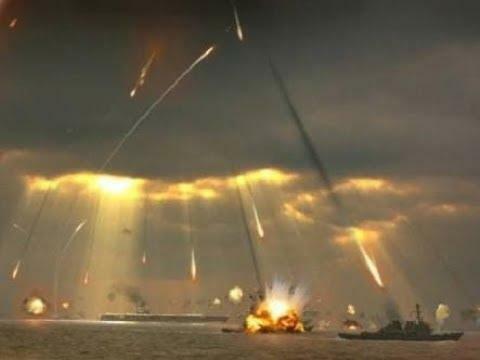 Hypersonic technologies are in the beginning stages of allowing countries to break free from the New World Order and Washington control, the world is evolving, and in this transition phase, the world is going to get a whole lot more dangerous.